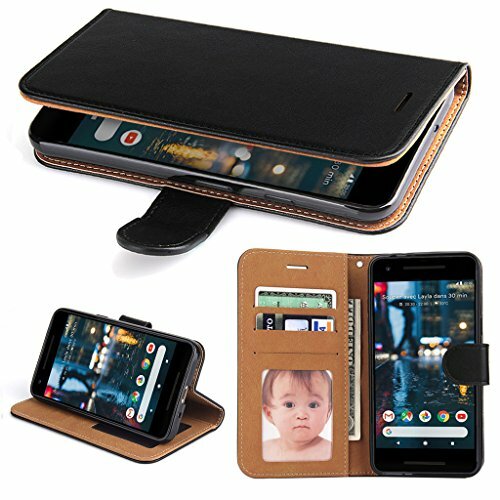 Google Pixel 2 (2017) Leather Case is a practical protective case with credit card holders, cash clip, stand feature and magnetic clasp. Elegant design, durable material makes your Pixel 2 smartphone looking more stylish, and enjoy the professional protection in your daily life. Soft TPU Inner Shell - Featuring 4-corner protection, sides and back protection, the raised edges to protect the screen from being scratched or being touched the ground. In order to pursue a higher customer experience, All products sold by SOWOKO offer LIFETIME WARRANTY. If any quality problems, you can contact us and get a new replacement free of charge or refund. If you have any questions about this product by SOWOKO, contact us by completing and submitting the form below. If you are looking for a specif part number, please include it with your message.